That's right, Sir Lattimore has his very own site that will serve as the place to be for all things Lattimore from here on in. Please check it out and add it to your bookmarks! 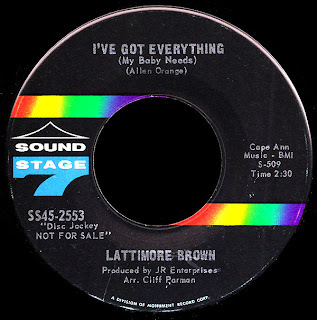 This rockin' record we have here today was the flip of Lattimore's first 45 for Sound Stage 7, the monumental I'm Not Through Lovin' You. 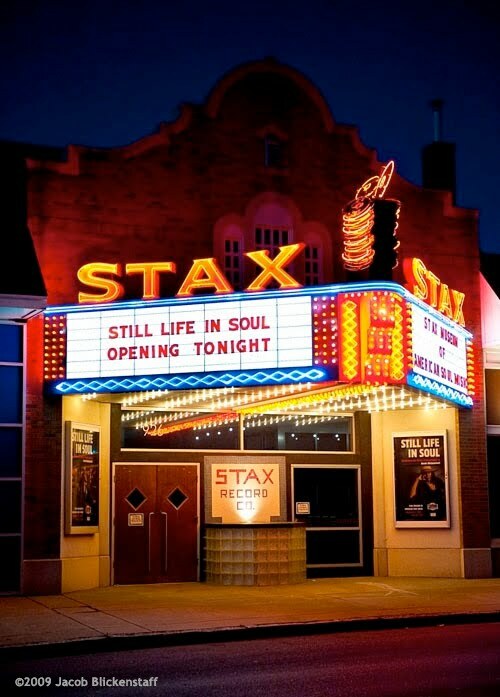 Like it's A side, it was written by Allen Orange and recorded at STAX in 1965 (which is kind of cool, considering that a Jacob Blickenstaff portrait of him is being displayed on a full size poster at the entrance to The Stax Museum as we speak). Check out Al Jackson and Duck Dunn, man, just locked in to that pocket... sweet. And now, speaking of firsts, I am also pleased to announce that Sir Lattimore's first recording in almost 35 years has just been released by Bob Wilson's Real Thing Records. 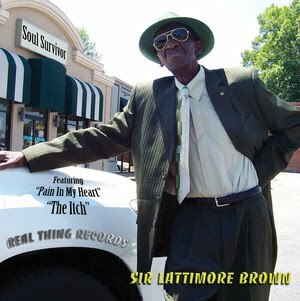 Cut both at Willie Mitchell's Royal Studio in Memphis and Wilson's own Star-Gate Recording in Detroit, Sir Lattimore is joined by Soul legends like Skip Pitts and Pat Lewis on this extended play CD single pulled from his forthcoming full length Real Thing album, Soul Survivor. 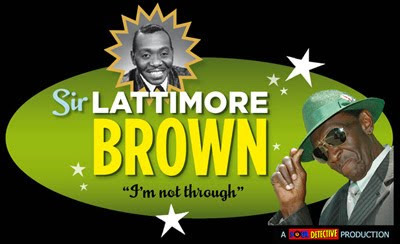 Where and when was Sir Lattimore Brown born (what year, and in what town)? Good luck, and please be sure to include your street address... if you're not one of the lucky winners, don't worry you can still pick up your own copy over at Real Thing Records. I thought you might be interested in this new NOLA blog dedicated to our older blues and R&B singers. Thanks for the heads up... I've added it to the links in the sidebar.